➡ View the video-recordings of all of the panels from this event. On April 29, 1992, a jury acquitted four LAPD officers of all charges stemming from the filmed beating of Rodney King. Following the verdict, Los Angeles erupted into nearly a week of unprecedented civil unrest. 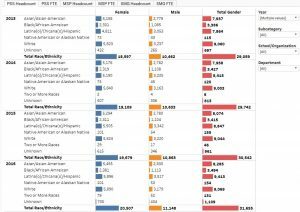 While these events shook the entire city, they disproportionately impacted African American, Korean American and Latino communities. 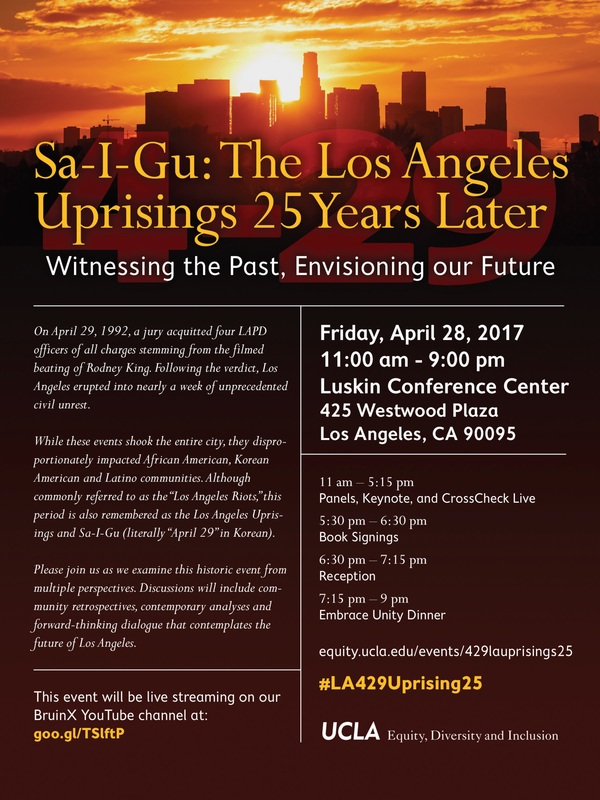 Although commonly referred to as the “Los Angeles Riots,” this period is also remembered as the Los Angeles Uprisings and Sa-I-Gu (literally “April 29” in Korean). Please join us as we examine this historic event from multiple perspectives. Discussions will include community retrospectives, contemporary analyses and forward-thinking dialogue that contemplates the future of Los Angeles. new: For a detailed program and list of sponsors, please visit our Program and Sponsors page. ➡ For information on other events marking the 1992 Los Angeles Uprisings, please visit our “25 Years After the Fires” page. ➡ For students wishing to submit artwork exploring themes related to Sa-I-Gu/The Los Angeles Uprisings, please visit our “Student Art Competition” page.